Gov. John Hickenlooper this week endorsed the campaign of fellow Democrat Diane Mitsch Bush as the former state representative and Routt County commissioner tries to unseat four-term Republican U.S. Rep. Scott Tipton of Cortez in the Nov. 6 general election. Last year, Mitsch Bush, who lives in Steamboat Springs, resigned her House District 26 seat to take on Tipton. HD26 includes both Routt and Eagle counties, and it is now represented by Eagle deputy district attorney Dylan Roberts, who was named to the seat by a vacancy committee and is now running against Republican Nicki Mills of EagleVail. Tipton represents the western two-thirds of Eagle County and most of the state’s Western Slope in the U.S. House. 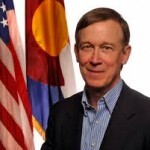 His campaign questioned Hickenlooper’s endorsement of Mitsch Bush. 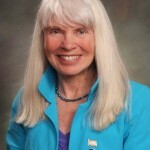 Former state Rep. Diane Mitsch Bush, D-Steamboat Springs. 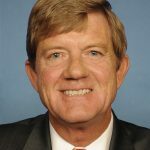 “It’s bizarre that Governor Hickenlooper would support someone who is against Jordan Cove and a supporter of a Bernie Sanders style government-run healthcare system, but clearly he is trying to remake himself in the image of the new extremist Democrat Party as he gears up to run for President,” Tipton campaign spokesman Matt Connelly said in an email. Jordan Cove is a proposed liquified natural gas terminal on the Oregon coast – originally endorsed by Hickenlooper — that would connect to Colorado’s Western Slope gas fields via hundreds of miles of pipelines. The Trump administration earlier this year revived the project. The Mitsch Bush campaign clarified that she has not officially come out against the Jordan Cove proposal. “Claiming that Diane is against Jordan Cove is factually inaccurate,” a campaign spokesperson said in an email. Mitsch Bush was unavailable to clarify if that means she actually does support the project, which has drawn environmentalist opposition from Colorado to Oregon. Hickenlooper, a former oil and gas worker turned brewer, restauranteur and Denver mayor, has for years been considered a possible 2020 presidential candidate after he leaves the governor’s mansion due to term limits. He joins his gubernatorial predecessor, Democrat Bill Ritter, and former Democratic U.S. Sens. Mark Udall and Ken Salazar in endorsing Mitsch Bush. Hickenlooper’s endorsement of Mitsch Bush comes just days before the first Tipton-Mitsch Bush debate at the Club 20 fall meeting in Grand Junction. The 22-county Western Slope lobbying group on Saturday will also feature a debate between attorney general candidates Phil Weiser (Democrat) and George Brauchler (Republican). The gubernatorial debate that night will be a one-sided speech by Republican Colorado Treasurer Walker Stapleton after U.S. Rep. Jared Polis, the Democratic candidate, declined to attend. Polis reportedly has a previous family commitment that conflicts with the Club 20 debate. Polis, who has attended dozens of events on the Western Slope in recent weeks, including a 13-stop Labor Day weekend tour, represents the eastern third of Eagle County, which is a member of Club 20. Polis told the Grand Junction Daily Sentinel he’s also focused on attending free events to talk to as much of the public as possible as opposed to Club 20, which costs $25. “While Jared wishes he could attend every debate, he is glad that Mr. Stapleton has accepted six of the 13 debates Jared challenged him to. Jared looks forward to debating Mr. Stapleton in a free, televised debate in Grand Junction on Oct. 6,” Polis for Colorado spokesperson Mara Sheldon said in an email. Also on Saturday at the Club 20 meeting, Roberts will debate Mills, and Republican state Senate District 5 candidate Olen Lund will speak unopposed by incumbent state Sen. Kerry Donovan, a Vail Democrat who will not attend. Editor’s note: This story has been updated to reflect the fact the campaign for Diane Mitsch Bush denies she has ever come out in opposition to the Jordan Cove proposal. The updated version also includes new quotes and context throughout. The only thing bizarre is that Colorado would elect a far right Trump minion like Scott Tipton who has made a career of trashing Colorado public land on behalf of his Texan oil masters.